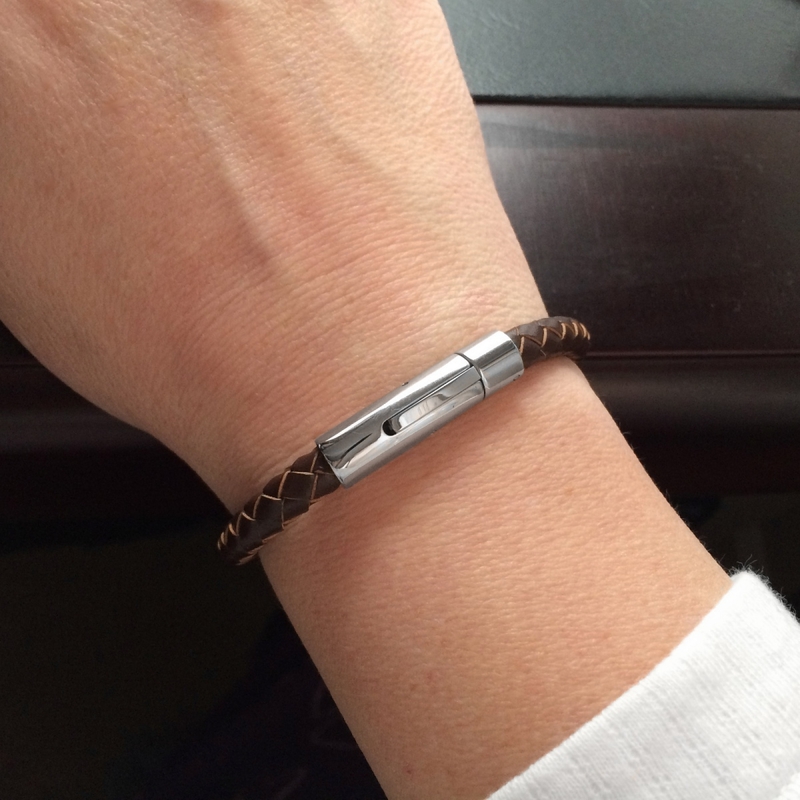 Never worry about losing a bracelet again! The stainless steel clasp locks in place with and easy snap together closure and push button release. Stainless steel is a great alternative to silver as it will NEVER tarnish and is very durable. It is also hypoallergenic so it is perfect for people with sensitive skin. 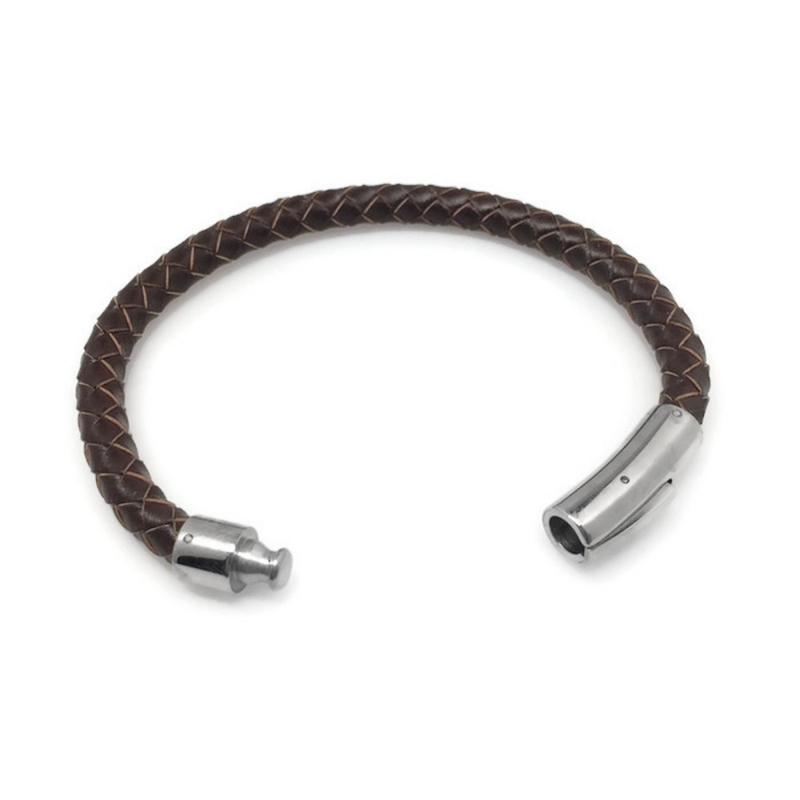 At a little under 1/4 of an inch wide (6mm), this genuine leather bracelet is perfect for a man, woman or teen . Your bracelet will ship in a satin pouch. Great for gift giving and/or storage when you are not wearing. 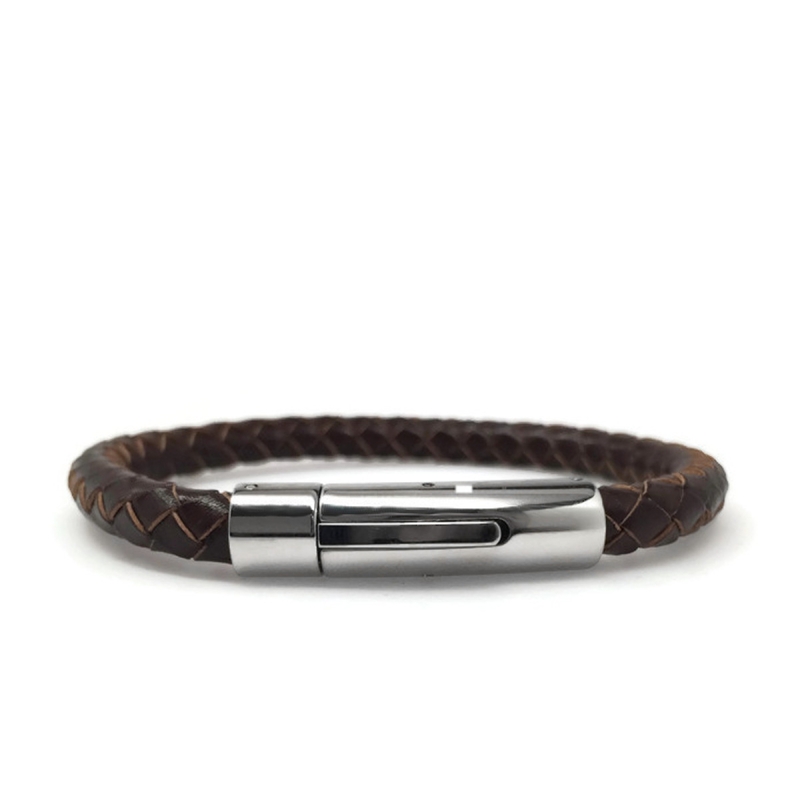 To make sure you order the right size, we recommend you measure your wrist then add an inch. An easy way to measure your wrist is to use a string or piece of paper, wrap around your wrist and mark where they meet. Then remove and measure with ruler. 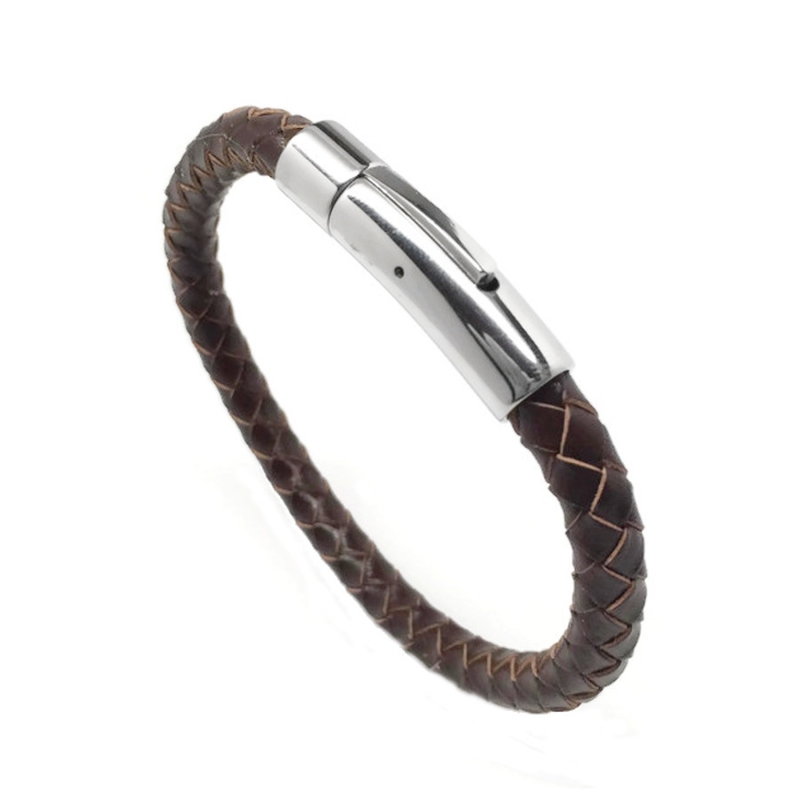 As water degrades leather over time, it is not recommended that you submerse the bracelet in water. This includes bathing and swimming.